A body fat scale makes it easy to measure your body fat percentage, and it’s an essential tool for anyone who’s trying to lose weight. Not too long ago, scales were very basic, and they could only measure your total body weight. Modern scales have the technology to measure body fat, and they can tell you how much of your body consists of water, bone, muscle and fat. Some of the best body fat scales can calculate your BMI, which takes into consideration your height and weight. 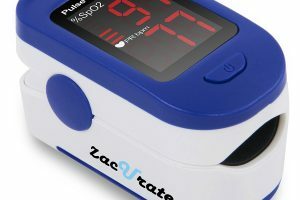 With some of the latest scales, you can upload your information to a computer or smartphone, which allows you to track your progress. You can also share your data with your workout buddies and find out who’s getting the most results. 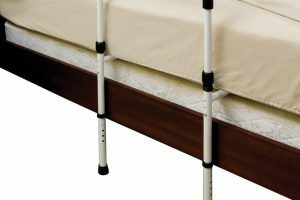 The problem is that there are hundreds of products to choose from, so it can be difficult to know what product is right for your needs. Once you know what to look for, you’ll be in a better position to choose a great scale. When shopping for the best body fat scale, there are several features to consider. Many scales come with multiple operation modes, and they can give you additional data about your body composition. If you’re not training for the Olympics, then you don’t need a scale with athlete mode. Some of the newest body fat scales can measure your water and bone weight. 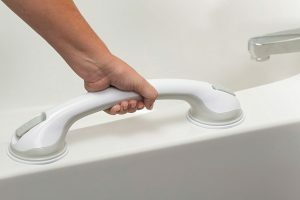 Although this information isn’t extremely important, some people want to know how much water weight they’re carrying, and if this describes you, then it’s a great feature to look for. Since wireless technology has become extremely popular, many scales come with Wi-Fi or Bluetooth connectivity, and these are two features that are worth the money. With the help of wireless technology, you can integrate your scale and smartphone, which allows you to send data to your mobile device. By wirelessly uploading data to your smartphone, you can easily keep track of your progress and share your information with friends. Another feature to consider is memory, and if you’re the only person who’ll be using the scale, this feature isn’t terribly important. 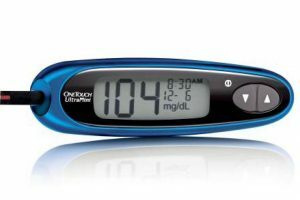 However, if several people in your household plan to use the scale, then consider getting a scale that comes with a multi-user memory bank. 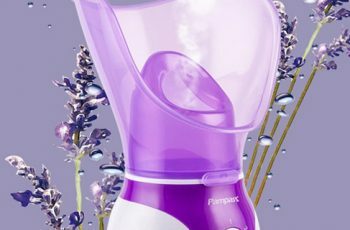 Many modern products can record information for up to eight users. To find the best product, it’s important to pay attention to the accuracy of the scale. If a scale can’t accurately measure your body fat, then it’s not a great product. Unfortunately, the results from most scales aren’t extremely accurate, but some products are much worse than others. You’ll find that most modern scales measure body fat with bioelectrical impedance. To measure your body fat, these scales send a very tiny amount of electrical current through your body, and since the electricity flows faster through muscle and water, the scale can use the information to determine your body fat percentage. Once it has enough information, it uses a mathematical formula to display a percentage. Movement, hydration, muscle and foot calluses can throw off the results from the scale, so if you’re trying to measure your body fat, it’s important to take these factors into consideration. The best body fat scale can help you track your fitness progress, and it can be especially useful for professional athletes. It’s always useful to know how much body fat you’re carrying around because you’ll know when the extra weight on the scale is water weight or fat. 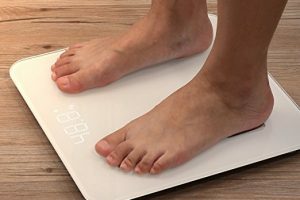 Below, you’ll find reviews for 10 of the best body fat scales available, and you can select the products that’s right for you. The Triomph BMI scale features cutting-edge technology for reading bio impedance, which allows it to accurately measure body fat. 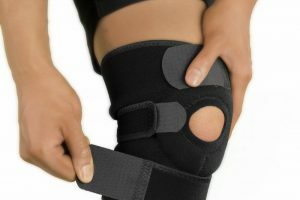 It’s equipped with the technology needed to precisely read your bone, fat, water and muscle mass percentages, and it features a contemporary design. 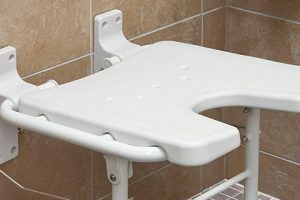 As you can see below, it comes in a variety of colors to fit in with your bathroom decor. With smart step-on technology, the scale can accurately read your weight immediately after you step on, and it will display the measurement on the bright LCD display. This scale can store data for up to 10 users, which makes it a popular choice for large families. 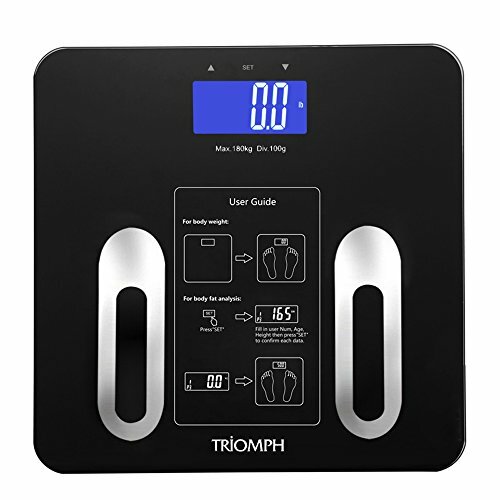 The Triomph digital scale comes with three unit settings, and its platform is designed with tempered glass. The 1byone digital scale is another popular product, and it uses BIA technology to measure information about your muscle mass, water weight, body fat and BMI. It can even measure your visceral fat, bone mass and BMR. 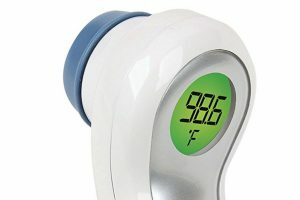 Unlike older scales, it features step-on technology, which eliminates the need to press a button before getting a measurement. To get an instant readout, just step onto the scale. The 1byone digital scale features a compact design, and it uses a 3.3-inch LED screen to display your data. The platform is made of durable tempered glass, and it’s four times stronger than regular glass. 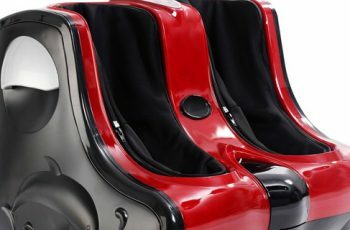 With four high-precision sensors, it can measure up to 400 pounds, and it will send data to your Android device. The Balance digital scale is another top product, and to give you a detailed picture of your body composition, it measures and displays six key metrics. 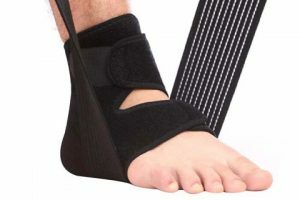 With the help of precise sensors, it offers an accuracy level of 0.2 pounds, and it’s equipped with the technology to measure your bone density, hydration, muscle mass, body fat and BMI. 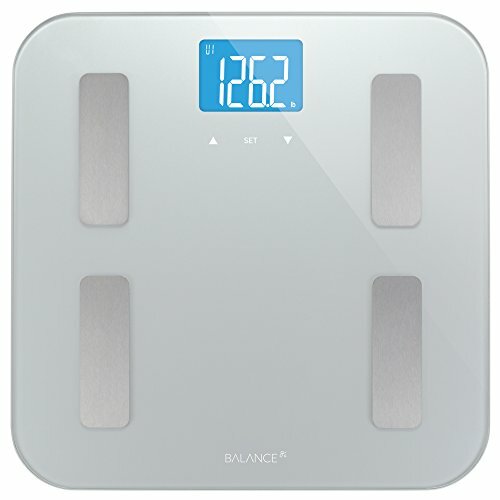 The Balance digital scale has a low-profile design, and the sleek tempered glass can match any bathroom. The compact size of this scale makes it easy to store inside of tight spaces, so you can put it away when you’re not using it. The Weight Gurus smart scale is very popular because it allows users to sync their data with a variety of well-known fitness apps. It’s also one of the only Bluetooth scales that is truly secure because it uses a 1:1 connection for every user. Although it’s capable of syncing with several different apps, you don’t need a phone to weigh yourself and check your body fat. The scale will take measurements and store them until you’re ready to sync them with your phone. This scale can measure up to 400 pounds, and it’s equipped with the technology to measure your bone mass, water weight, body fat and BMI. A bright LCD screen displays accurate measurements, and the Weight Gurus smart scale obtains accurate measurements using four precise sensors. 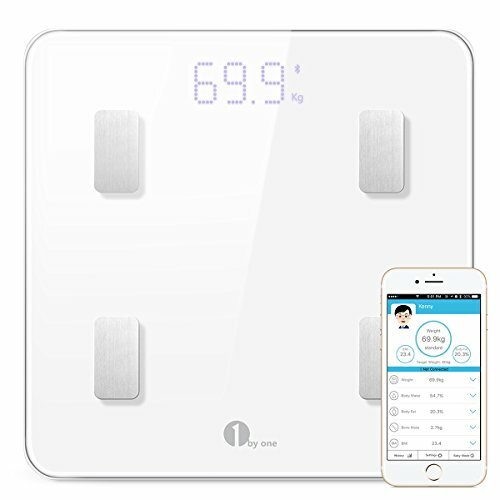 The RENPHO Bluetooth scale can sync with many popular fitness apps, and since it can store data for several different users, it’s suitable for a large family. The RENPHO scale can measure nine different metrics, and to obtain an accurate body fat percentage, it uses bioelectrical impedance analysis. This scale is equipped with the technology to measure your basal metabolism, bone mass, skeletal muscle, water weight, body fat and BMI. 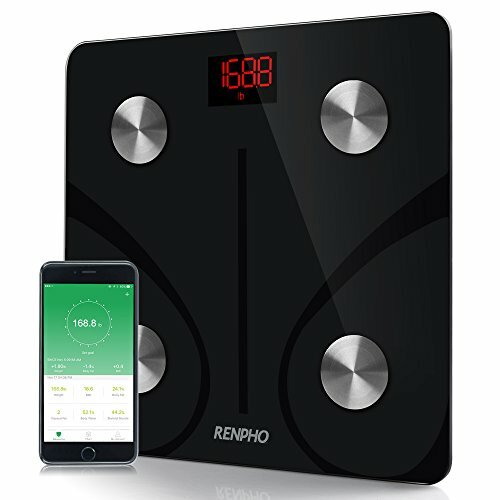 With the help of Bluetooth technology, this scale can connect to the RENPHO app, which is compatible with Android devices. Four precise sensors can measure up to 396 pounds, and for convenience, the RENPHO scale is equipped with step-on technology. 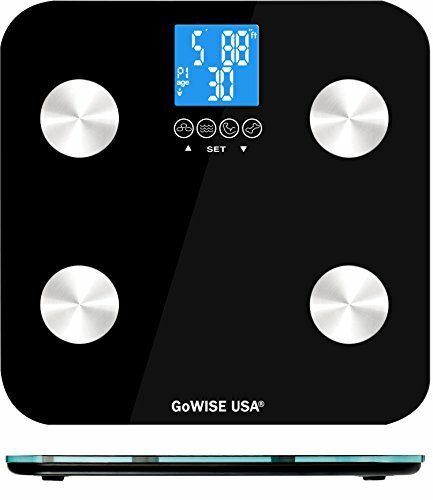 The GoWISE scale uses BIA technology to measure your body fat percentage, and it can also measure your bone, muscle mass and water weight. A blue LED backlight illuminates the bright LCD display, and the platform is made of tempered glass. This scale can store data for eight users, and the step-on technology makes the measurement process much more convenient. 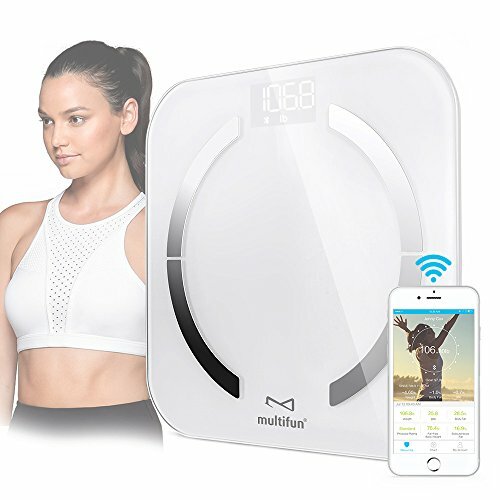 The MultiFunUS scale can accurately measure your body fat, and it uses Bluetooth technology to upload your data to a tablet or smartphone. 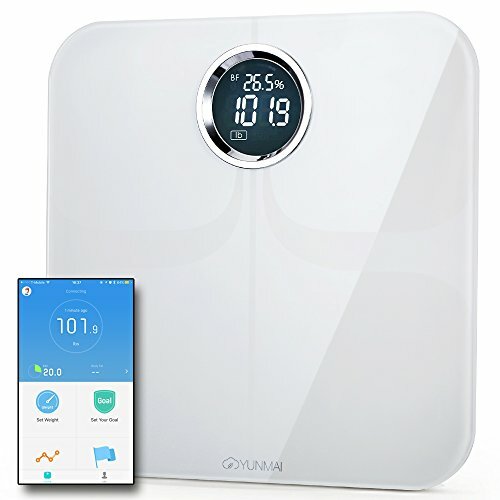 This scale can measure your visceral fat, BMR, body fat, water weight and bone mass, and with a large memory bank, it can store data for several users. 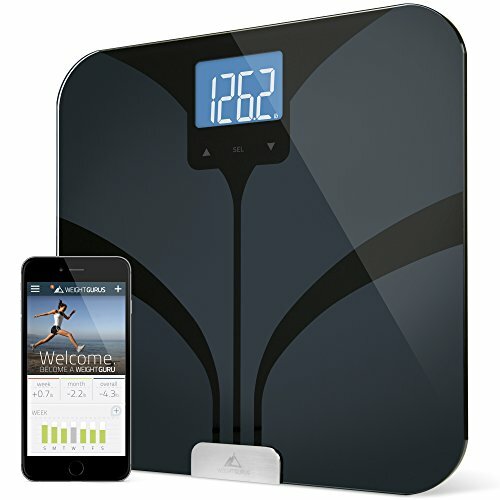 The MultiFunUS Bluetooth scale uses BIA technology to obtain an accurate measurement of your body fat, and for maximum accuracy, it’s equipped with four precise sensors. 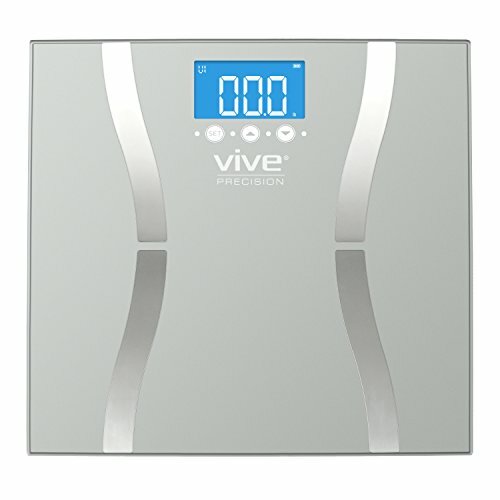 If style is important to you, then you’ll love this scale from Vive Precision. It features a sleek, stylish design, and it can be used to track several different aspects of your body composition. With high-precision sensors, it can measure your body weight, and for the greatest accuracy, it uses bioelectrical impedance analysis. A bright LCD screen can display your BMI, water weight, body fat, muscle mass, bone density and BMR. 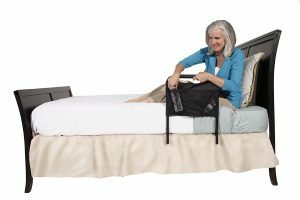 This scale is designed with a low-profile platform, and for convenience, it features step-on technology. The Yunmai smart scale has been used by over two million people, and it has the ability to sync with Google Fit, FitBit and Apple Health. This scale can measure 10 different aspects of your body composition, and it serves as an easy way to keep track of your body fat. 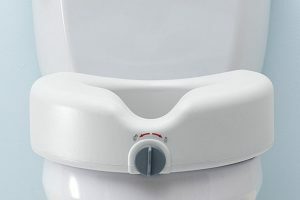 With the ability to record data for up to 16 different users, this scale is perfect for a large family, and it takes five seconds to set up. 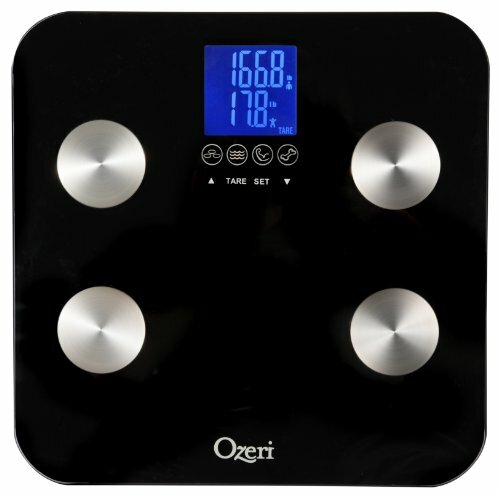 The Ozeri bath scale makes it easy to weigh a pet, luggage or infant, and it uses an advanced algorithm to calculate your bone mass, muscle, body fat and total weight. 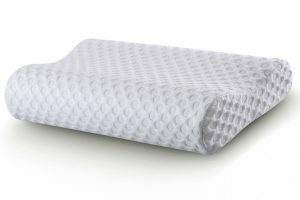 It can store up to eight user profiles, and it’s designed with three simple buttons. Four GX sensors provide accurate measurements and help you keep track of your body composition.